Razzy’s Roadhouse has a Private Special Events Room for meetings, parties and other special occasions. 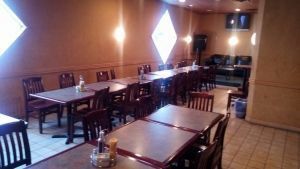 Our spacious room can seat a large group for a sit down meal or a group interested in a more casual mix & mingle party. The room includes 2 large flat screen TV’s and a sound system. To book the room or find out more, call Melinda at (902) 628-1489 or send us a message using the form below.